Toronto, Ontario — IBI Group, a global design and technology firm, launched BlueIQ, an intelligent, real-time software solution that uses predictive analytics to determine the most cost effective and energy efficient way for urban water utilities to operate their water distribution systems. 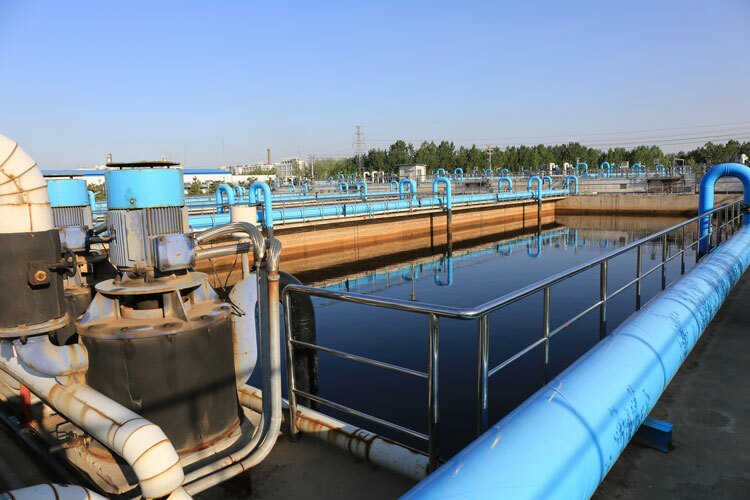 BlueIQ by IBI Group benefits water utilities by conserving energy and reducing operating costs, with an associated reduction in greenhouse gas emissions, while assuring the level of water quality and service to customers. Water utilities have a mandate to provide a required level of service in delivering water to customers. Doing so in the most cost-effective manner is a challenge as water distribution systems are major consumers of energy. BlueIQ addresses this challenge by optimizing pump and valve operations, resulting in reduced energy consumption while providing the required level of service. This outcome is achieved through the application of predictive analytics, which assist in the decision-making process with the provision of a real-time pump and valve operational plan. The realized cost savings can support innovative financing arrangements to cover implementation and system maintenance. “This is a completely new technology package that provided a customized solution for Toronto. Combining all the real-time inputs, with an accurate calibrated hydraulic model, and generating a proven and effective advanced pump schedule has significantly reduced Toronto Water’s operating costs,” said Gary Thompson, Area Supervisor Process, Operations & Maintenance, Toronto Water. Implemented for Toronto Water – the largest water utility in Canada, and one of the largest in North America – in 2015, IBI Group’s water optimization solution is currently saving the utility more than 10 percent in energy costs annually. BlueIQ by IBI Group is part of the firm’s new Strategic Plan, A Smarter Urban Future (www.ibigroup.com/wp-content/uploads/2018/09/IBI_A-Smarter-Urban-Future_RS.pdf), released in May 2018, which maps out the firm’s transformation to a technology-driven design firm, future-proofing IBI Group through four, bold, strategic streams. This plan will help the firm unlock growth in its core business through the application of productivity tools and processes developed by the firm’s own technology group. IBI Group has released a suite of new Software-as-a-Service (SaaS) products throughout 2018, creating new revenue streams throughout the lifecycle of the assets it designs. The first of these launched in March, Smart City Platform by IBI Group (www.ibigroup.com/ibi-products/smart-city-platform), and the second in June, InForm by IBI Group (www.ibigroup.com/ibi-products/inform-asset-management). BlueIQ (www.ibigroup.com/ibi-products/blueiq) is the third of these products.